Lilanthi P. Ravishankar | Littler Mendelson P.C. Lilanthi P. Ravishankar serves as knowledge management counsel for Littler Mendelson's Wage and Hour Practice Group and is responsible for the firm's 50 state surveys on Littler GPS, Guide for Policies by State, a state-by-state interactive online database of employment law information. 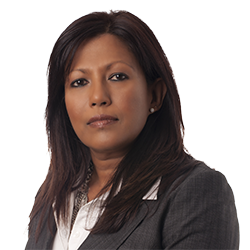 Previously, Lilanthi worked as practicing attorney focused almost exclusively on wage and hour law. Prior to joining Littler, she was a market research manager at an e-learning company and, before that, the research manager at a well-recognized and respected leadership training firm where she provided research for the development of leadership training programs and evaluated their effectiveness. She also worked as a consultant at the Markkula Center for Applied Ethics at Santa Clara University.